Josh is the co-founder of Factor Design Build. Prior to founding Factor, Josh was in charge of business development for Melton Design Build from 2008-2016. Josh managed remodeling projects of every size throughout Colorado and San Fransisco, and has more than 12 years experience managing large-scale commercial and residential projects. In 2005 Josh became LEED certified. Expanding his extensive experience in green building. He also served as a project manager on the construction of the first LEED platinum commercial building in the country. Josh’s communication and hands-on construction approach enable him to help his client’s discover remodeling solutions that they love, no matter how difficult or complicated the project. 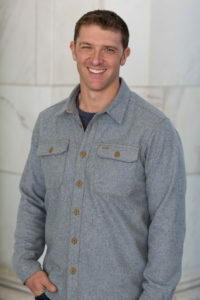 In 2013 Josh was recognized by Professional Remodeler’s Magazine as a member of the “Forty Under 40” award recipients for outstanding leadership in the remodeling industry. A Boulder native, Josh graduated from the University of Colorado at Boulder, and continues to enjoy living in Boulder spending time with his two daughters Jenna, and Claire, and wife Sarah. In his off time he can be found riding dirt bikes, and fly fishing.